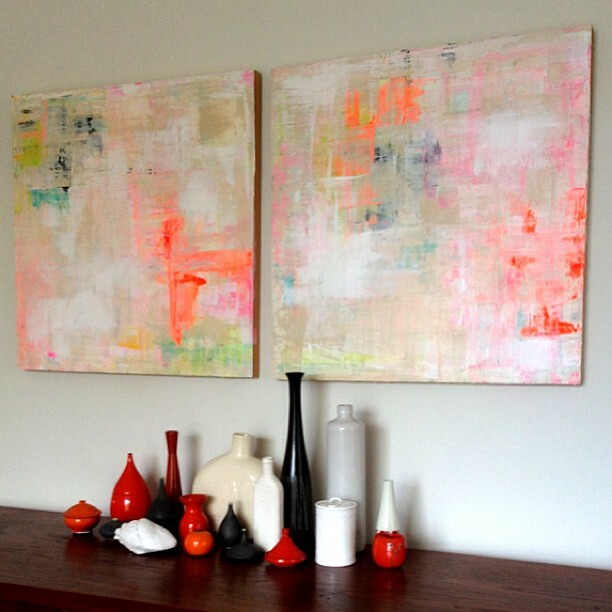 Artist Interview With Lisa Congdon: Home Decor and Favorite Spaces. Hi everyone, thank you for the overwhelming, positive responses to our new tea towels, designed in collaboration with the talented illustrator Lisa Congdon! We are so glad that you love them as much as we do. Today, we’re excited to release another short but inspiring Q&A with Lisa herself, in which she shares about her beautiful new home in Oakland, decorating it and her favorite spaces. 1. Congratulations on your new home in Oakland! What are some things that you love about your new space? It gets tremendous natural light. I used to live in a really dark apartment in San Francisco. So every day I wake up and my house now is flooded with light. Things look different in light. 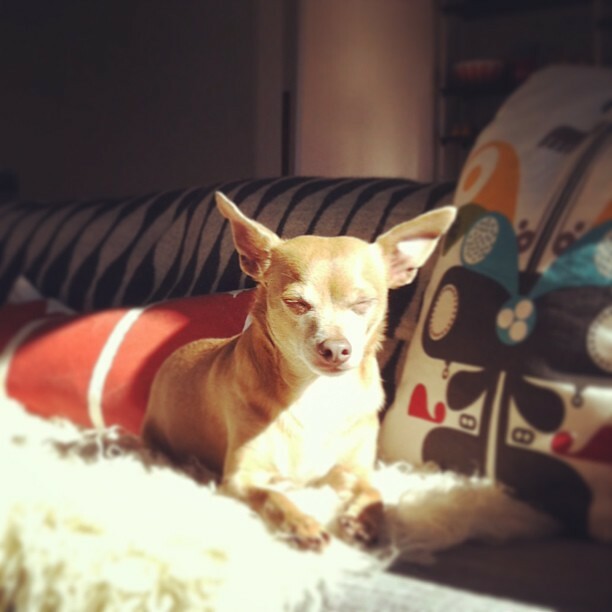 My animals might even love the sunshine more than I do! 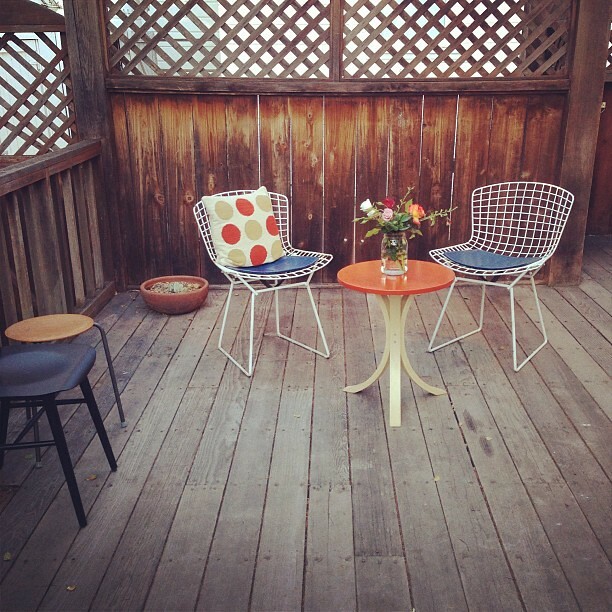 I also love the huge outdoor space we have in the back. I can’t wait to begin summer barbeques back there and reading books in the sunshine. 2. 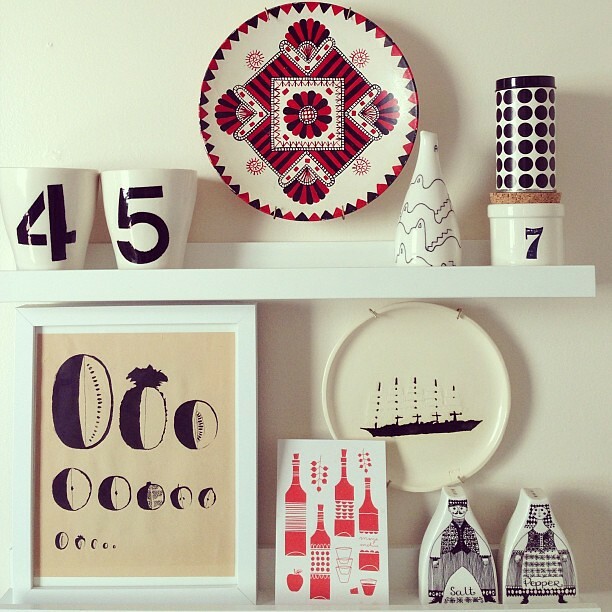 What’s your approach to decorating your home? I am all about creating spaces that are not fussy, spaces that are both relaxed and organized. I am also all about personalizing my spaces. I like clean and minimal, but I also don’t want to feel like I am living or working in a bland hotel room or a room that is generic. I add a lot of personal touches to my home, through my collections, artwork that I’ve purchased over the years, and mementos. 3. What is your favorite room in the home and why? The dining room! 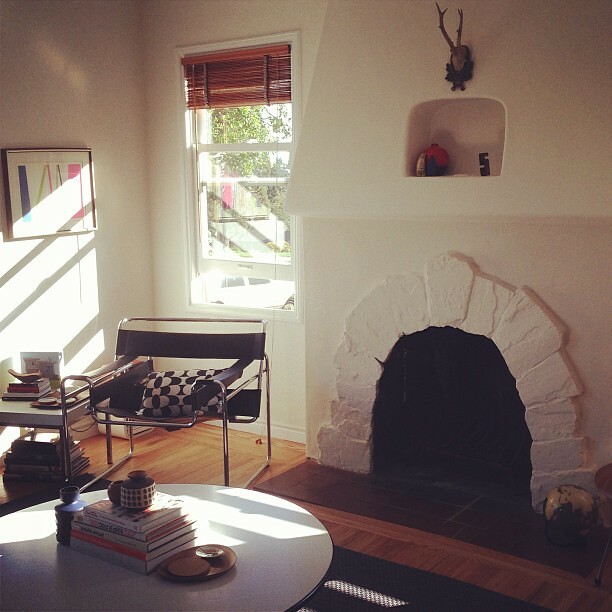 It has a great corner window, and some amazing midcentury furniture. 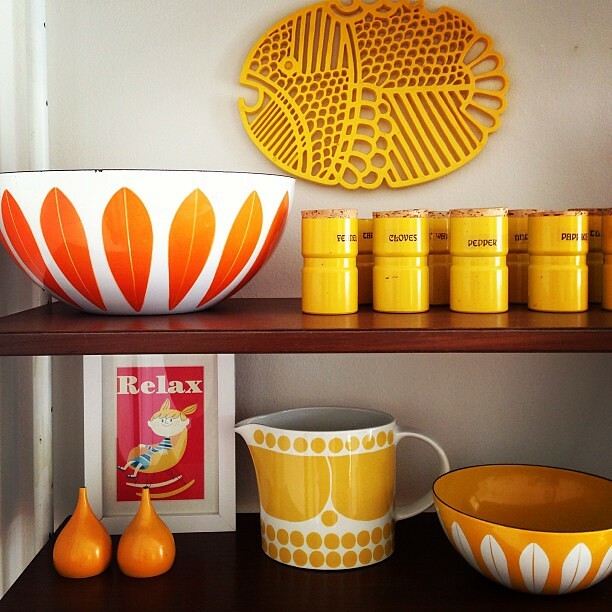 It also includes many of my favorite collections, including my Catherinholm Enamelware collection. 4. 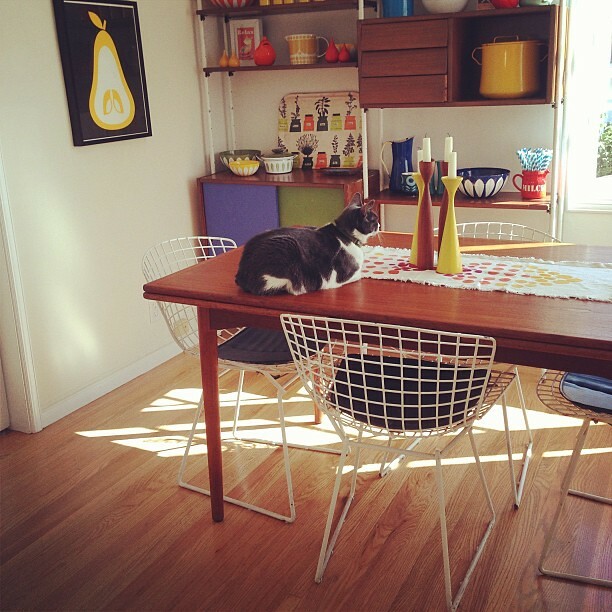 Tell us more about decorating your kitchen…what do you enjoy most about it? 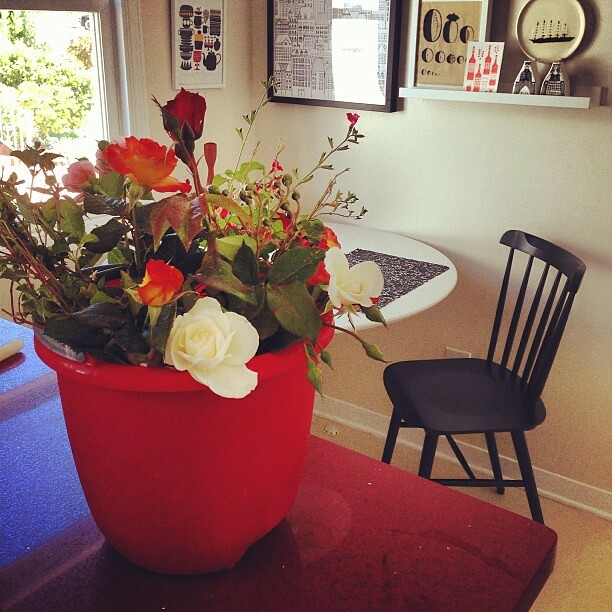 The greatest design challenge in my kitchen was the red countertops. When I first heard the countertops were red, I was really worried! But I decided to embrace it, and I went with a theme of red, white and black for the entire space. Now I actually love the red countertops! Thank you Lisa for sharing your home! For our readers, if you missed our first interview with Lisa and want to see the awesome tea towel collaboration with Poketo, check it out here.